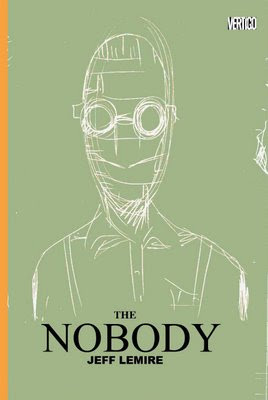 THE NOBODY is now available for pre-order in the current issue of Previews and from your local bookstore, so please go out and order it! For those who prefer to use online retailers, DCBS is going to be offering a limited edition, signed NOBODY print with each order! More details on that when I get them. Also in this Previews I have a 5 page story in the AWESOME 2 Anthology, by The Indie Spinner Rack folks, and distributed by Top Shelf. Now on the STANDARD ATTRITION MESSAGE BOARD! 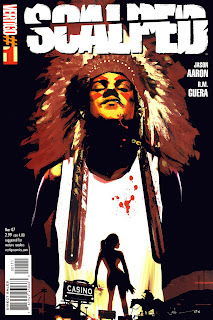 Jason Aaron, writer of Vertigo's SCALPED has invited me to join the STANDARD ATTRITION message boards and group blog. The forums include Jason, Brian Azzerello, Peter Milligan, Jock, David Lapham, G. Willow Wilson, Cliff Chiang, Brian Wood, and now me. It will be a great place for me to post and discuss updates on all of my Vertigo projects as well as Essex County and other works, so please come and check it out. I just posted some new info about the contents of the upcoming 512-page Complete Essex County collection coming this summer. The Nobody Advahttp://www.blogger.com/img/blank.gifnced Solicited for May 2009! DC has solicited The Nobody in advance of its July release date, so PLEASE ask you local comic shop to pre-order for you. 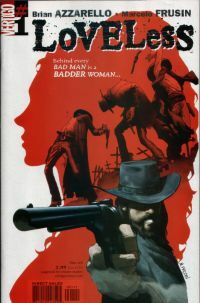 144 page Hardcover for only 19.99!!! Well, it's been crazy time in baby land, but I am managing to slowly get back to my regular work schedule. 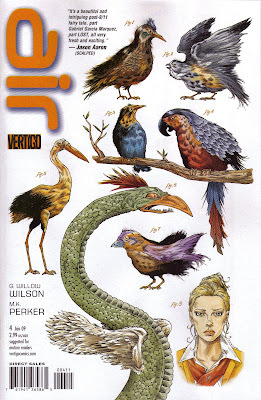 Not much new art to post right now, but you can listen to the New York Comicon Vertigo Panel with Karen Berger. She talks about The Nobody, and teases another Vertigo project that I am currently 66-pages into....more on that at San Diego I believe. Also recently started reading the entire run of James Robinson's Starman, god is that a good book. Speaking of good books, you must read Nate Powell's SWALLOW ME WHOLE. It is an absolute masterpiece! Well, diapers to change and comics to draw...gotta run. My wife. Lesley-Anne and I welcomed our first baby, Gus Micheal Lemire into the world at 2:46 am on Monday night! 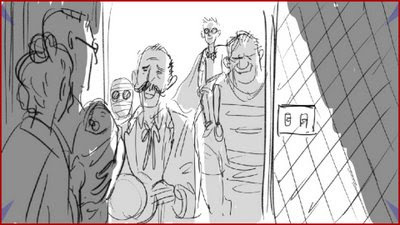 Noel Tuazon (of Elk's Run fame) just sent this killer sketch of some of my characters welcoming the baby! Thanks Noel!